Spring season calls for flowers in everything! Although we are well into summer, thinking about the spring isn't going to cause any harm! Moreover the weather here in Bangalore is so pleasant! I have used pastel colors, keeping spring/summer in mind. You will need a dotting tool for this or you can DIY your own dotting tool(let me know if you want a blog post on this!). 1. Apply a base coat and let it dry. 2. Using a silver glitter top coat or polish, apply one coat of it. 3. 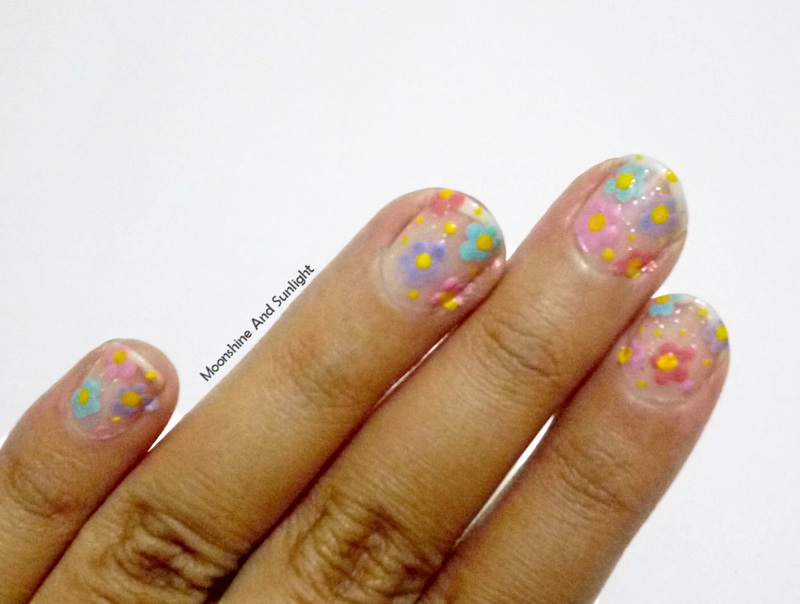 With the help of a dotting tool, make one dot using a bright yellow, on every nail, wherever you like. 4. Take the first color of your choice and with the help of dotting tool, make 5 dots around the yellow dot to form a flower . 5. Repeat step 3 and 4 with the other colors to make the flowers. 6. Let all of these dry. 7. Seal in with one to two coats of a clear top coat or if you want to make it extra sparkly, use the glitter top coat. I am trying all sorts of techniques now and I am really having fun with those. Hope you all like this tutorial. Let me know what sort of tutorial you would like to see next. Hahaha, Thank you so much !! :D Glad you liked it ! Thank you so much Yamini!! I am so happy you liked it ! Do share it with me whenever you give it a try ! I think that it is adorable design. It is so cute and girly. 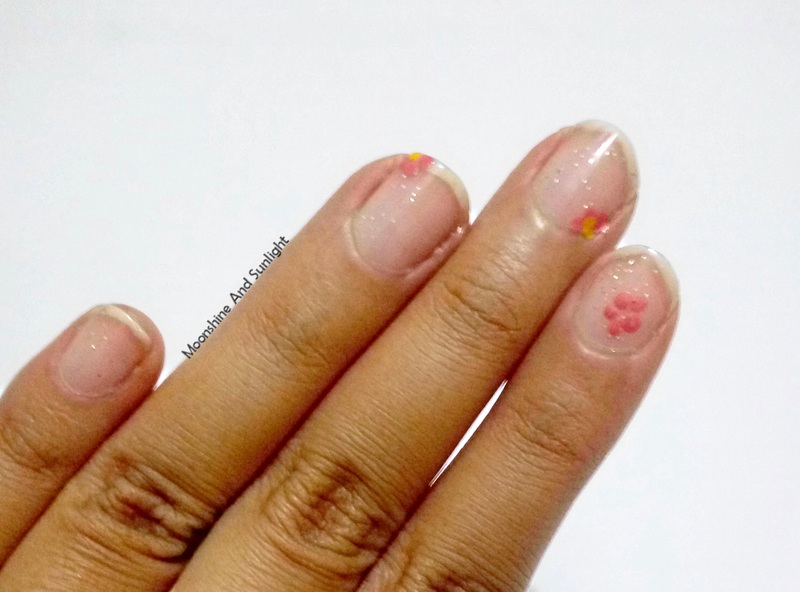 I am in love with all this colors and must say that I want to do the same design but to add more pink ( I've seen some options at http://nailartstyle.com/top-45-light-pink-acrylic-nails ). But anyway, your design is amazing. It's pretty. Cool Look. Definitely gonna try this.